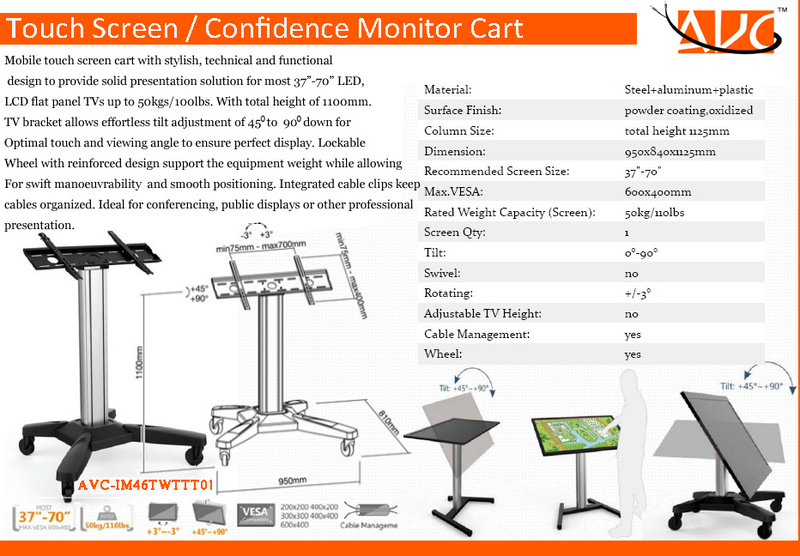 LCD flat panel TVs up to 50kgs/100lbs. 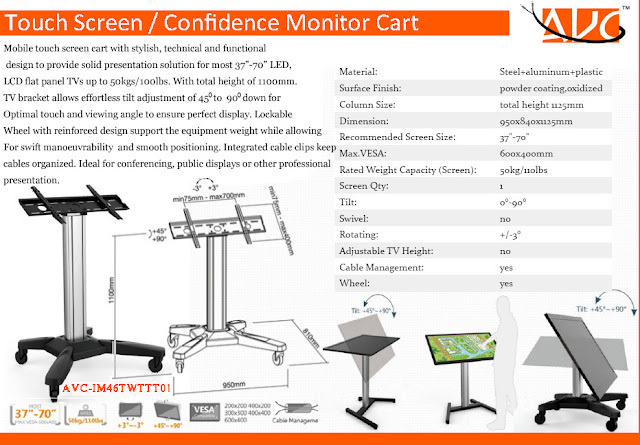 Mobile touch screen cart with stylish, technical and functional design to provide solid presentation solution for most 37”-70” LED, LCD flat panel TVs up to 50kgs/100lbs. With total height of 1100mm. TV bracket allows effortless tilt adjustment of 45ᵒ to 90ᵒ down for optimal touch and viewing angle to ensure perfect display. Lockable wheel with reinforced design support the equipment weight while allowing for swift manoeuvrability and smooth positioning. 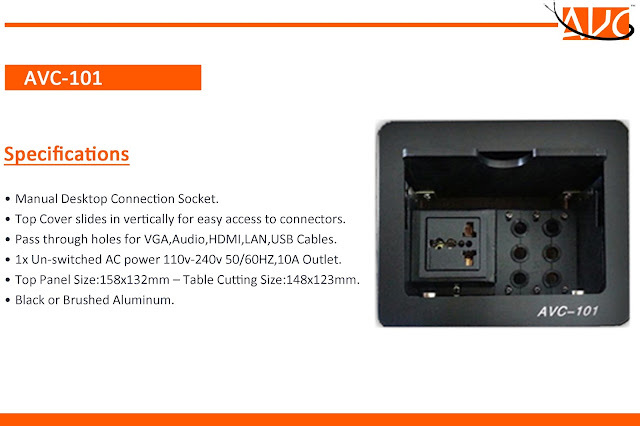 Integrated cable clips keep cables organized. Ideal for conferencing, public displays or other professional presentation.